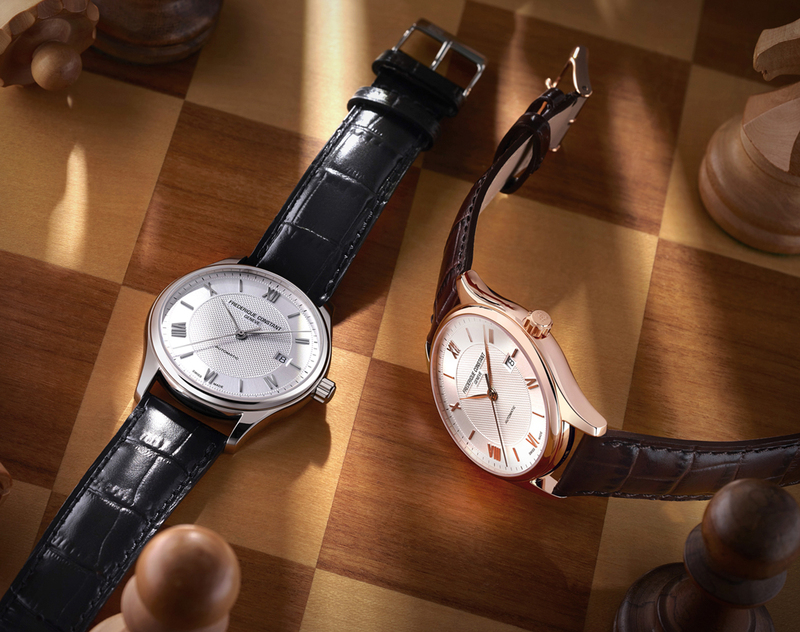 Frederique Constant has added two new models for the Classic collection, with stainless steel and pink gold PVD coated case options. Models with a 40mm case diameter have a domed sapphire crystal on the front side. Water resistance rating for the Frederique Constant Classic Index Automatic model is 50 meters. The new model’s dial is finished in white with Guilloché pattern is applied in the center. Rhodium and pink gold plating hands and indices are preferred in order to be compatible with the case finish. There is a date window on the 3 o'clock position. 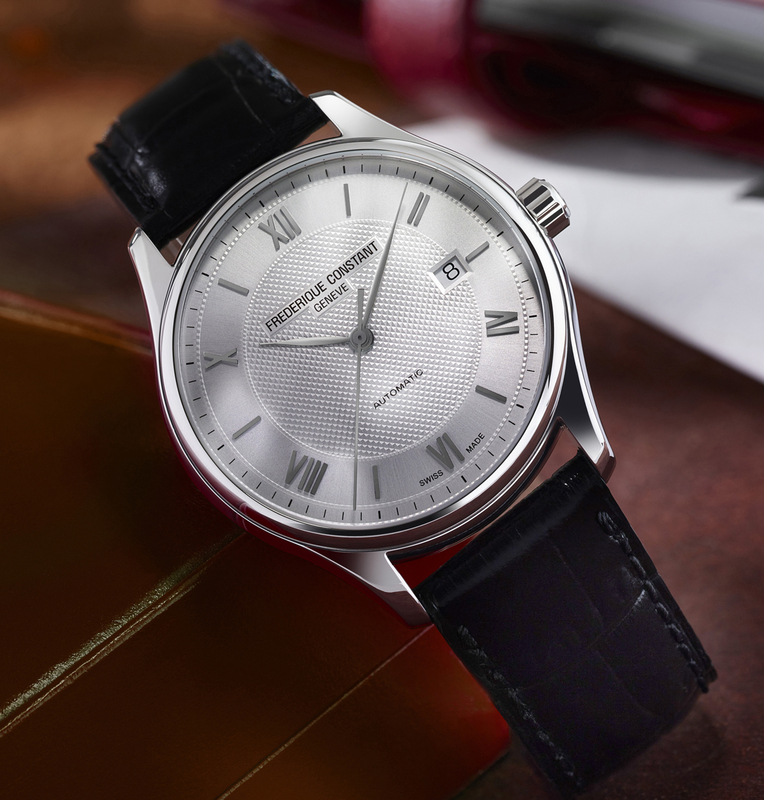 The Frederique Constant Classic Index gets its power from the Caliber FC-303. 26 jewels self-windinh movement beats at 4Hz and offers a power reserve time of 38 hours when fully wound. Both versions are offered in alligator straps with two different colors ( black for the steel version and brown for the pink gold PVD version). 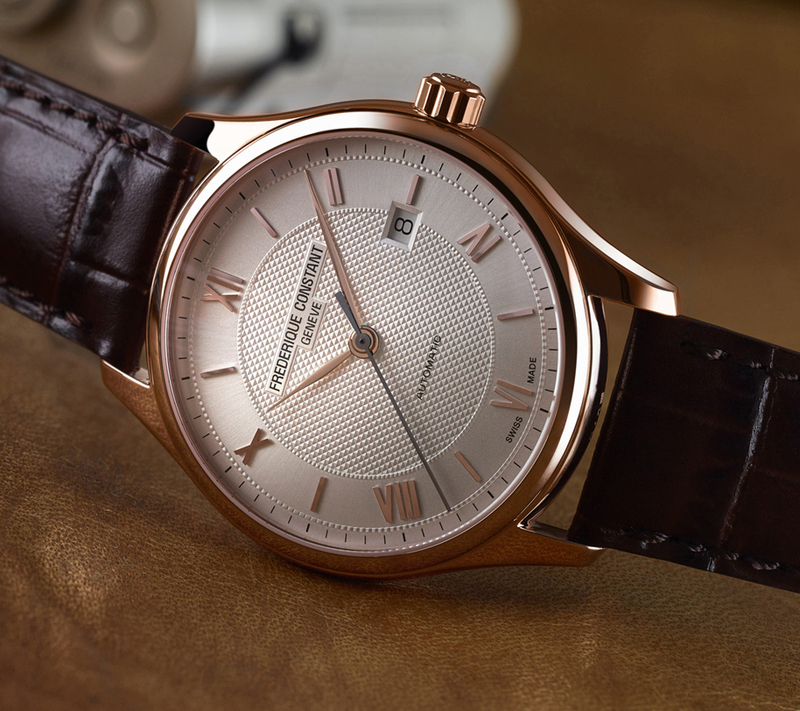 Frederique Constant Classic Index Automatic will be on display with $ 950 (stainless steel) and $ 1,150 (pink gold) list prices(US list).